The New Zealand goat industry is evolving and there is potential for expansion of its export products. 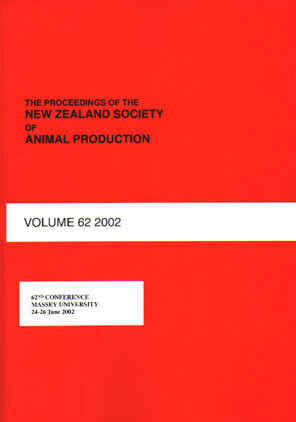 The production and value of the New Zealand goat industry has been explored previously when the industry was in its infancy (Sheppard & O’Donnell 1979), at a time when Mohair production was seen to be ‘the most profitable goat farming enterprise’. Since then major expansion has occurred in the production and export of dairy-goat products, and the production of quality Boer goat meat is under consideration. In order for further progress to be made, knowledge of the current production levels and value of the goat industry, and its potential for expansion is required. Using information describing the current situation of the goat industry (Scholtens et al. 2017) and the value of the goat (Lopez-Lozano et al. 2017), a model was created to estimate the current and potential production and value of the New Zealand goat industry by 2025. RMC Smith, MR Scholtens, -Lozano, SR Lopez, N Lopez-Villalobos, D Burt, L Harper, D Thomas, A Carr, D Gray, P Tozer, et al.